In the case of Registrar of Medical Schemes & Another v Genesis Medical Scheme, the court had to consider whether or not the contribution by members of a medical scheme to their savings accounts with that scheme constituted “trust property” as defined in the Financial Institutions (Protection of Funds) Act (Act 28 of 2001, the FI Act) and had to be accounted for separately in the medical scheme’s annual financial statements and returns. The Registrar of Medical Schemes (“the Registrar”) had rejected the 2012 annual financial statements (AFSs) of Genesis Medical Scheme (“Genesis”) on the basis that Genesis had reflected the funds in its members’ personal medical saving accounts (PMSAs) as its own assets, instead of treating them as funds held by Genesis on behalf of its members. The High Court found that the Registrar had erred in law in rejecting the AFSs, finding that Genesis was correct in reflecting the funds as its own. The Registrar made application to the Supreme Court of Appeal (SCA), appealing the decision of the High Court. The SCA noted that the system of provision for future medical treatment by way of savings is recognised by section 35(9)(c) of the Medical Schemes Act (Act 131 of 1998, MSA). 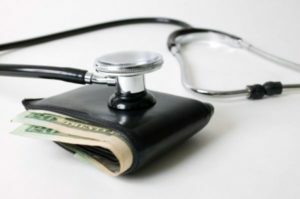 Furthermore the SCA confirmed, after considering the definitions of “financial institution” and “trust property” in the FI Act, that contributions to savings accounts held by medical schemes on behalf of members is indeed to be considered trust property. The SCA also considered sections 4(4) and 4(5) of the FI Act, which confirms that trust monies should be ringfenced and accounted for separately. In confirming that monies standing to the credit of a member’s PMSA should be considered as trust property and accounted for as such, the SCA considered regulations 10(5) and 10(3) of the MSA. Regulation 10(5) provides that where a member terminates his or her membership with a scheme and thereby withdraws cash from his or her PMSA, he or she would be liable to tax. The SCA stated that it would be absurd for these monies to be taxed in the hands of the member but also be considered assets of the scheme. Regulation 10(3) allows a member to set off any debt owed to a scheme with funds standing to the credit of his or her PMSA. The SCA stated in this regard that the issue of set-off could only arise if the PMSAs are assets of the members and not of the scheme. After a period of uncertainty, the SCA has now upheld the decision of Registrar of Medical Schemes v Ledwaba NO (Omnihealth)  JOL 19202 (T) in finding that any amount standing to the credit of members in their PMSAs is to be considered as trust property held on behalf of the member. AFSs of medical schemes must therefore account separately for these assets, reflecting such amounts standing to the credit of a member’s PMSA as a liability of the scheme with there being a corresponding asset showing these assets as being separate from those of the scheme. On the basis that monies standing to the credit of members in PMSAs are to be considered as trust property held on behalf of members, such amounts could not stand to be available for the general body of creditors where a medical scheme is liquidated. Why is a funeral policy essential? How do I pick a car? No will, so what now?